Internet and privacy: Is a marketing Big Brother always watching? 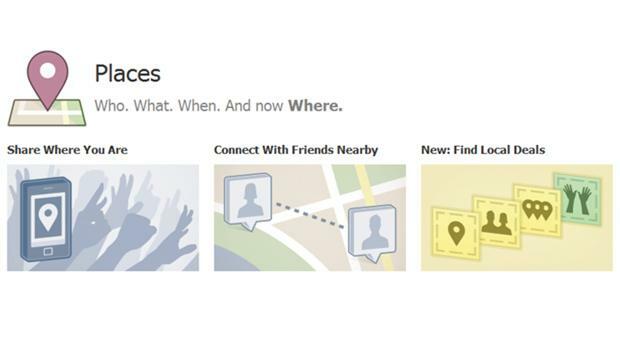 Is Facebook’s places facility contributing to a modern Big Brother society? Online ads can build awareness and influence the decision-making process. However, the online ads dig into once privacy much more than anyone could have ever imagined. When 124 most loyal customers of a Manhattan restaurant received a discount for a burger SMS offer, they must have loved the fact that they are recognised and appreciated by their favourite restaurant. Those 124 “loyalists” re-tweeted this offer to over 40,000 people in their social networks. The restaurant was that evening packed full. On the other hand, these 124 individuals were tracked, observed and specifically market targeted, without their knowledge or consent. A US start-up, Local Response, has recently launched a new service where they offer advertisers to track whereabouts of their clients. To determine who is where and develop a full list of customers that visited any particular venue, they use internet based platforms like: Foursquare, Facebook Places, and Gowalla. They also monitor food check-ins on Foodspotting, their software browse through the photos on Instagram, pick up location-tagged tweets on Tweeter and use Facebook to track implicit location words by looking for words like “I’m off to St. James Valletta”. Local Response then allows the companies to have an access to a dashboard that shows exactly who their customers are, and when did they visit them. Within their marketing campaign, they will also try to pick out the most influential Twitter users, by showing businesses how many times their brand name appears as a tweet. The company claims that they are not “spammers” because they send no more than one offer from any retailer to one person within a 24-hour period. However, within their business model, you are truly, constantly being watched. With the internet evolution, more and more technologies are being used to share and utilise the users’ data. This trend is faster than the process of protecting users’ data and building laws around it, and can easily result in access to the personal details granted to strangers all over the world. For a marketer, information is power, and Google is building its monopoly choosing to influence almost anything that the internet touches. Google makes the vast majority of its money from search ads. According to eMarketer, Google’s 2011 online ad revenue share is around 41 per cent, compared to Facebook’s 6.4 per cent. This gap is astonishing when one understands the fact that Facebook still masters the largest time spent online. According to the stat counter Global Stats Google almost own the mobile searches sector with over 97.4 per cent of the share worldwide. The last year’s spending in the US for mobile advertising was $743 million. Google’s success in building its empire is in gathering remarkable amounts of private and public information from its users, including: what we search (Google.com), what we read (Google News); what we watch (YouTube), where we go on the internet (DoubleClick ad-tracking), where are we located (Google maps). In an effort to provide the consumers with what they want and at the right time when they want it, Google has devised methods to track almost everything about us. The recent changes made by Facebook that give the company greater ability to disclose users’ personal information to businesses, are challenged all over Europe. Facebook is to be investigated by the Irish privacy regulator into how it handles the data of around 800 million global users. The invasive internet marketing practices that allow consumers to be observed and analysed for profit (with no regard for their privacy rights) conflict with the major EU data privacy laws. The German lawmakers brought up a number of complaints from allegations that Facebook’s “Like” button allows Facebook to track non-members internet activity. Facebook tracks users’ interests without their consent and send that information to the internal databases in the US. While this may make for some interesting marketing applications it can also leave us feeling more exposed and wondering we live in a modern “1984” Big Brother society where we are always being watched. Ms Pantović is a marketing consultant at Alert Communications, a local web development company.